Traditionally, storytelling has been the mechanism for maintaining a culture’s collective memory. Life events were held in memory by an oral historian who shared and retold the story over and over again, thus keeping it alive for generations. 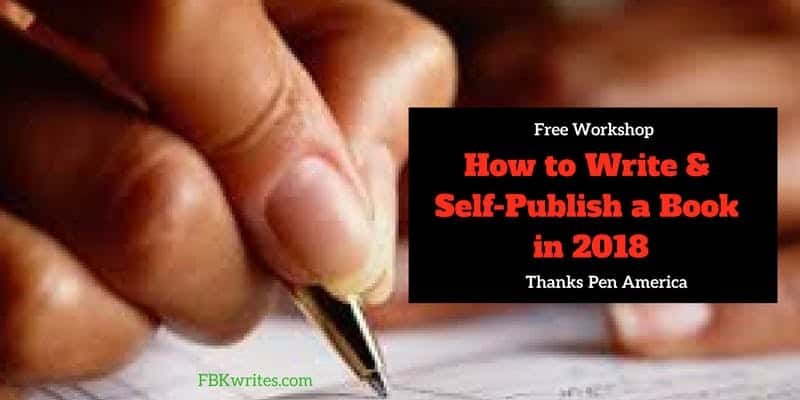 In this workshop series, several diverse, published authors shared ways that you can write and self-publish a book to evangelize a social cause, to leave a legacy to family and friends, to touch and inspire the community or the world, and much, much more. Now more than ever, there is a reason to let your voice be heard. PEN American member, Franki Butler-Kidd showed participants how to do this through books, traditional media, and other forms of new media. 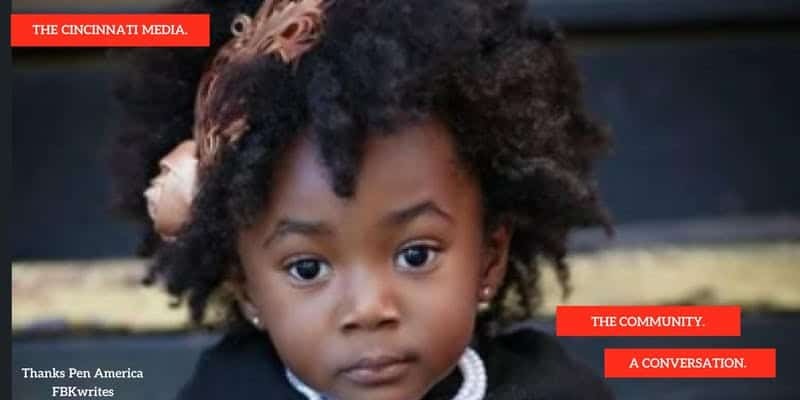 Finally, in honor of Black History Month, they held a special tribute to the 10 most read and/or most “controversial” writers of our time. In this workshop, PEN America member, Franki Butler-Kidd covered what’s needed to Write and Self-Publish a book in 2018 to advocate for community issues. This FREE workshop was made possible thanks to PEN America and OURSTORY BOOK FAIR & EXPO. The workshop covered topics such as proofreading and editing tips, formatting, and books versus e-books. The presentation for this workshop educated attendees on how communities can foster better relationships with the media as a way to ensure accurate representation and on how the message or story they want to share gets far-reaching and balanced coverage. Renowned attorney David Singleton was a guest speaker. 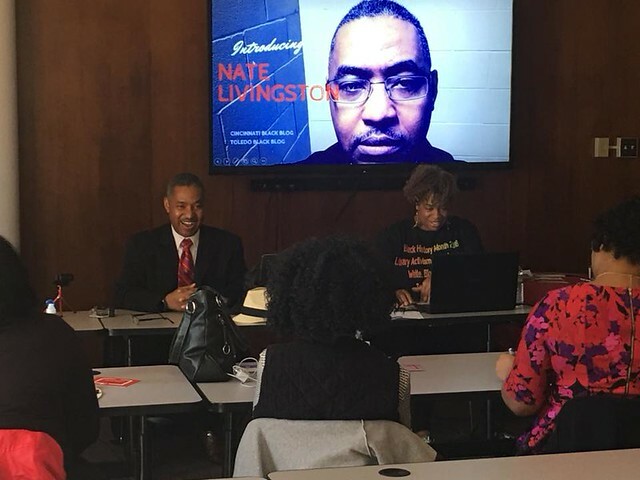 Following Singleton’s presentation, there was a panel discussion that included members of the media, advocates, concerned citizens and community leaders. Panel topic discussion included: How algorithms decide what information reaches your community. Do certain media practices marginalize minority and or dissenting viewpoints? And how nonprofits can play a role in investigating reporting? Panelists included Gary Jeff Walker (55 KRC), Ken Anderson, formerly of WDBZ the Buzz (host a segment on 55 KRC), Crystal Kendrick (The Voice of Black Cincinnati), and WCPO Representative and host, Elisia Triggs. 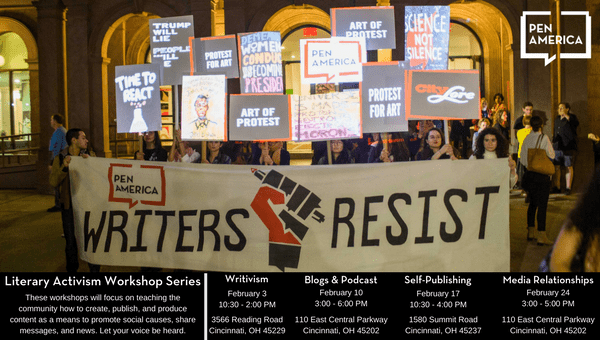 This workshop discussed blogs and podcast that focus on literary activism and news reporting. The workshop also included a discussion on local blogs making an impact in the community. Audience members heard from local podcasters and bloggers who are striving to make their voices heard. The workshop consisted of determining target audience for podcasts, ways to grow an audience, ways to market the podcast, and more. 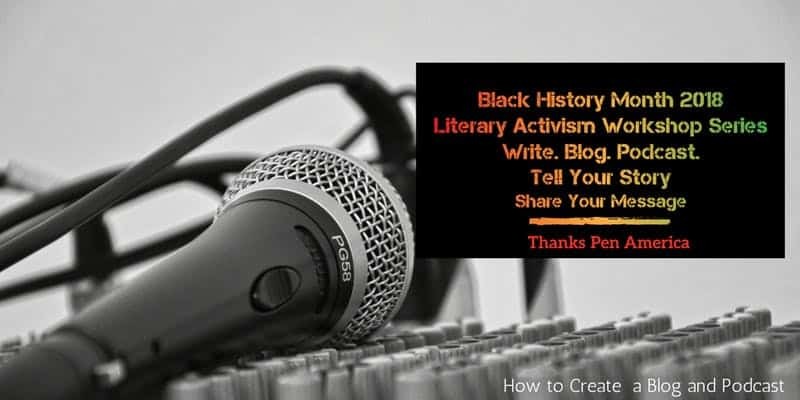 Special guests included Nate Livingston (Cincinnati Black Blog), T. Nicole (Boldwriting), and Chris B (The American Dream, Blogger & Podcaster). This event was sponsored by the Press Freedom Incentive Fund.